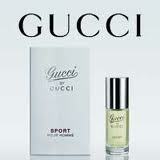 Posted in Gucci, Miniature, Perfume for men and tagged beli, Gucci, men, miniature, minyak wangi, online, Perfume, wangian, women. Bookmark the permalink. Posted in Bodycare, Gucci and tagged bodycare, Flora, Gucci, losyen badan, online shopping, perfume body lotion. Bookmark the permalink.